Hi everyone decided to post on a Saturday for a change as I usually have to work on a Saturday so making the most of my day off, to post. Talking about returning to work after having a child. I have also written a new blog on my Tales of my travels page one Carriesrealworld.com sharing some new finds I have discovered in London. I am in the process of having a clear out of my home as I like to start doing this time of year, and going through my clothes, paperwork, emails, draws and cupboards, to begin a fresh for each season. I am going to have a good clear out this time round as want a real less cluttered home and so going to be super ruthless this time. Check out my Season Clear ups page. I just look around and see that there are things that I have bought thinking I will get around in using that but never do. I really want to give my home a make over, and a good proper one. I have been catching up on my T.V aswell. I loved Liar this week , unfortunately I didn’t manage to see the second one, but watched the third episode where we find out who is the Liar. It has to continue on as not being a spoiler whom ever is lying has got to be found out. I also watched Doctor Foster, good turn of events and can’t wait to see what happens next same with Cold Feet, loved the episode last night and didn’t expect it to end as it did, I think Jimmy Nesbitt’s character I think is going to get a shock and a broken heart. I am so pleased Strictly is back, I think first show was brilliant and Debbie McGee’s Paso was the best I have seen and it only first week, look forward to see what else she does tonight definitely a contender to the final got to be. I had a good birthday, had a quiet meal indoors, went for a meal today with my husband and son, and tomorrow out for lunch with my husband, son, my mum and step dad, at a restaurant called Bills, which I hear do really nice food. I will report back and tell you what I think. Until then have a good rest of the weekend people I will blog again next week. Yes it was an explosion of pooh, I had to deal with this morning. Sorry if this is TMI, but I had say it, it wasn’t the morning I had planned, especially being nursery day. I feel there will be others who will give me sympathy. I thought it would be okay to have a little extra 5 minutes in bed would be okay but how wrong was I? So I had to give son a bath before nursery this morning and then get him dressed, take him to nursery and then clean up the mess, wasn’t even 8 o’clock. After cleaning up the mess oh and I forgot to mention I had a blocked toilet to sort out too. My fault, putting baby wipes down the toilet is a big NO NO. 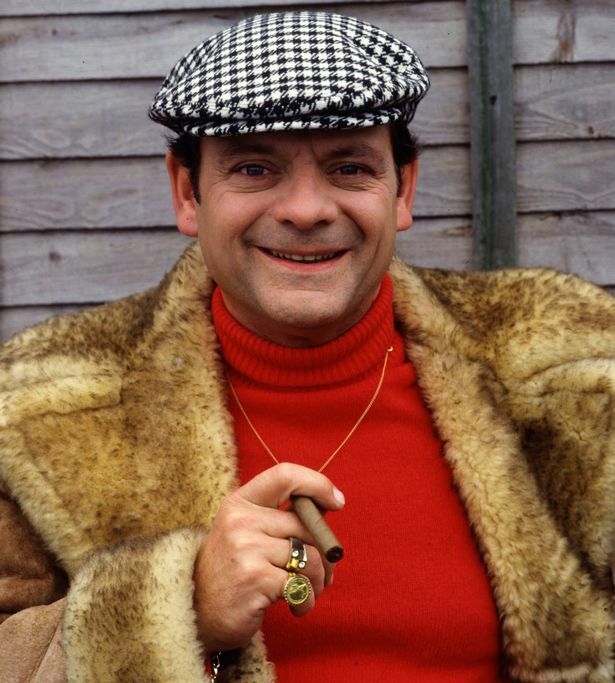 Apart from that I managed to catch up on some TV and watched a lovely program about David Jason, his life on TV and how he became a big household name, was great to watch. Only Fools and Horses is my ultimate favourite, and I wish it could come back just one last time. Then caught up with TOWIE, I know but I am allowed one guilty pleasure. Last night I watch the Great British Bake Off and Doctor Foster, and I have gotten back into Eastenders after 10 years or so. I was watching some old ones, and got me wanting to watch the recent episodes. I have no idea really what is going on, but it was good to watch it again. I didn’t do much for my wedding anniversary, we had a drink in doors with our dinner, as we had a take away, then watched TV in bed, that was it. So I would love to know what you’ve been up to, and how your weeks been, please comment below, What is your favourite show David Jason was in, and do you know what has been happening in Eastenders please I would love for someone to fill me in. What a week it has been, condolences to those who have been effected by the hurricanes, it’s frightening what nature can do at times, and not much you can do, but to try and give love to those effected. We are now officially in Autumn in the U.K and weather been a bit hit and miss, one minute it is pouring with rain and the next sunny, the concores are now out so time to collect to stop those creepy crawling spiders entering the home. I know not everyone believes that myth about spiders and concores, but I do. I would like to send a special message as we passed the anniversary of 9/11, I remember that day so clearly, I was working for the Hammersmith and Fulham Council and someone got a call from some family who worked in the trade center, and I thought it was being exaggerated until I saw what was happening myself. I remember the day after feeling so sad and wanted to hide away and grieve. It was just horrific, that I was happy that Eastenders was on, to feel some distraction from it and watched a lot of comedies to take my mind of what had happened. All people had done that day is to go to work, yet there were some cowardly people wanting to take that away. My heart goes out to the victims and families of someone who lost their lives that day, RIP. On a happier note I did watch the start of the new series of Strictly Come Dancing, of all the celebrities being partnered up, I thought it was a brilliant launch show. I can’t wait until two weeks for the actual new series to begin. I think Bryan Conley and Debbie McGee have natural rhythm and so I will look forward to those two, and the guy from Eastenders. I wonder who will be the dark horse this year, if there is one? I watched more of the X Factor which wasn’t bad, they have made it more about the singers and cut it with the sob stories, as that was getting on my nerves. Even when The Voice began to do that it got on my nerves and concentrated more on the actual auditions themselves, some were really good, that I will continued to watch it. I missed Coldfeet so I will have catch up on that, but I loved the new series called Liar, on ITV 1 don’t know what is going to happen there or who is telling the truth. I watched more of Doctor Foster, nearly missed it due to falling a sleep but was good from what I watched and is a good series. In two days time I celebrate my wedding anniversary my 11th Wedding Anniversary, we haven’t planned anything but I sure we will do something to celebrate. If you have a wedding coming up then congratulations, and remember it is about the two of you, so if you get those like we did who invite themselves, you can say no, as we invited those who did that, but they never ended up turning up. The other tip I would give, if you are planning your wedding, tell all those involved ahead of time of what is going to happen so they know what music to play and when they are needed for the day. You don’t want speeches to be done after your bestman has had a skinful of beer, something may come up you don’t what to be mentioned. Not saying that this happened, but we did have a mix up with the music. Our fault as we didn’t send out a criteria of what music was to begin and where. So if you any tips on weddings or you too have a wedding anniversary coming up, I would love to know. I sadly lost my dad at the weekend, so been a sad week, but I still nevertheless can a good weekend. We went to a car boot sale in Hook Arena, bought some bits and pieces, a new bathroom mat, tea towels, a book and a Thomas Tank Engine lunch box. I share a video about sextuplets who have now turned 30 and how it effected their parents watching their six daughters growing up. I did start to watch the X Factor but I have to admit sorry for those who love the show, but I found it boring, so didn’t see all of the X Factor first show. However I do like and love it is back on, Dragon’s Den, would never go on the show but do find it addictive. So what have you watched and been up to this week I would love to know.